Science Olympiad continues to compete leading up to Southern Calif. regionals in April. 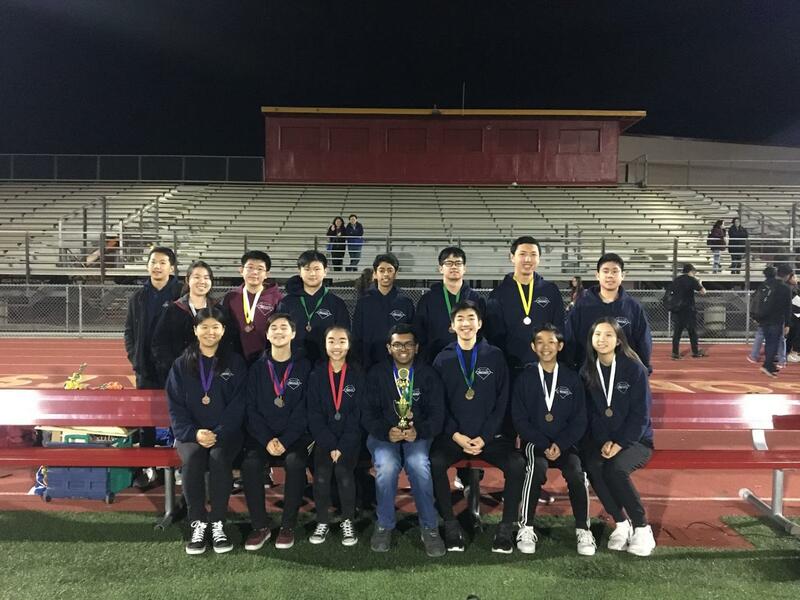 Science Olympiad placed fifth out of 37 at the Wilson Invitational competition last weekend in Hacienda Heights; the top six in each event received medals. After consistently placing fifth in most of its tournaments this year, Diamond Bar High School’s Science Olympiad placed fifth once again in the Wilson Invitational event last weekend. Thirty-seven teams participated in the competition at Wilson High School in Hacienda Heights. Sriram, who has been on DBHS’ team since freshman year, competed in Water Quality, Codebusters, Herpetology and Geologic Mapping, placing first, third, fifth and eighth, respectively. In the Herpetology event, contestants had to identify reptiles and amphibians. Meanwhile, senior Hannah Zhang placed second in Anatomy and Physiology, 29th in Protein Modeling and 21st in Disease Detectives. In the Protein Modeling event, competitors use computers to create a physical model of the CRISPR Cas9 protein, which edits plant and animal cells’ hereditary materials or genomes. Sophomore Ryan Real placed seventh in Sounds of Music, ninth in Mission Possible, third in Codebusters and 17th in Write It Do It. Science Olympiad teams compete in regional, state, national and invitational competitions. Invitational competitions do not affect a team’s regional or state rankings but instead serve as preparation for the regional, state and national competitions. During the events, teams compete in various science-related fields including biology, chemistry and engineering. Teams strive to obtain the lowest score by reaching first place in their events. DBHS’ Science Olympiad chooses its team members based on how well they perform in three events during tryouts at school. Students who make the cut are then assigned to compete in the events they auditioned for. Zhang and Real said they hope that Diamond Bar can place higher at the state competitions despite losing some strong seniors from last year. Zhang has participated in Science Olympiad since seventh grade. “[The team is] a good way to pursue my interests in science while creating new friendships with people that share the same love for science,” Zhang said. Meanwhile, Real joined Science Olympiad in eighth grade. “I’ve always been interested in science, it’s one of my favorite subjects, and I thought Science Olympiad would be a good way for me to expand my interest,” Real said. After last Saturday’s competition, the team is preparing for their next competitions at UC Berkeley on Feb. 9 and at Rio Hondo College on Feb. 23.